This handsome boy lives in Virginia and needs a forever home. 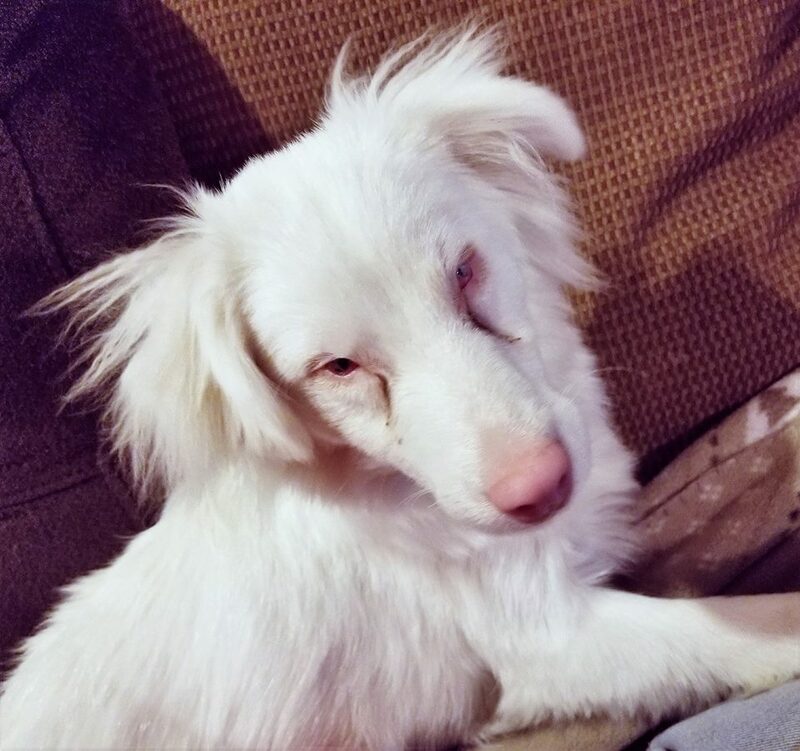 Deaf and blind from birth, Kylo is a one year old Mini Australian Shepherd. 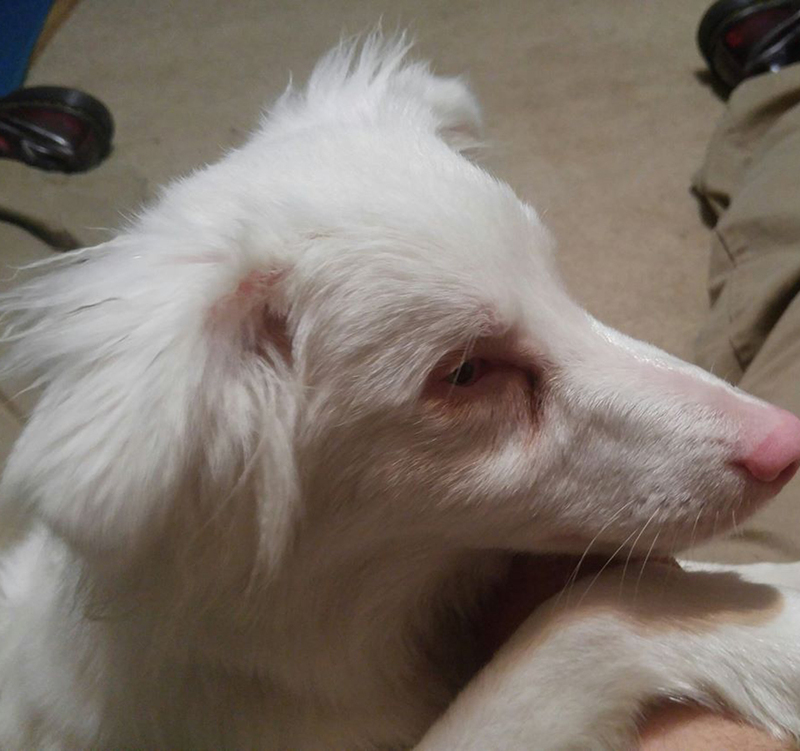 He came as a stray to an animal shelter that was going to put him down due to his special needs, but was rescued on his last allowed day. He’s currently up-to-date on shots and neutered. He weighs about 18 pounds, is good with cats and other dogs. House training is going fantastic, and he knows “sit” and “down” through touch commands. 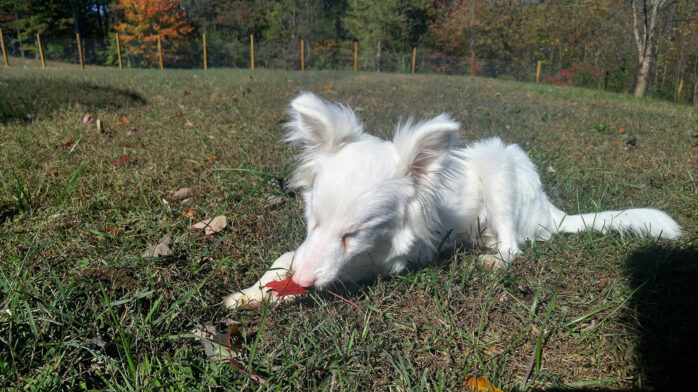 The perfect owner for Kylo would have the patience for a puppy and extra compassion for one that can’t see or hear. 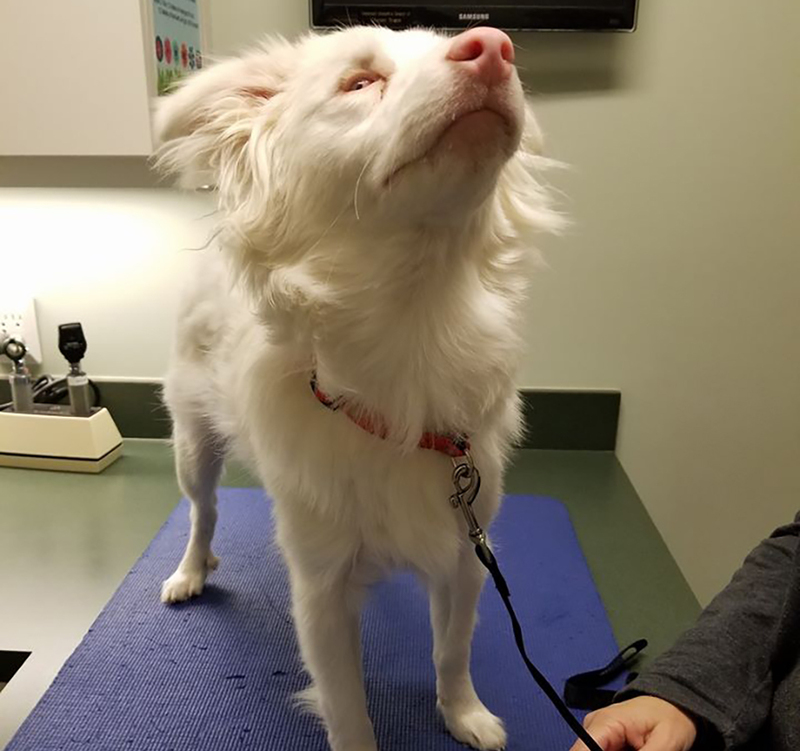 Kylo has typical Mini Aussie energy, but is very trainable and would require surprisingly few accommodations for his missing senses. Thank you so much! Please feel free to contact me for any further info. We’ve had Kylo for 2 months now, with very little qualified interest and it would be great to find him a forever home!